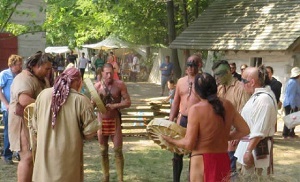 Koh-Koh-Mah & Foster Living History Encampment—Event features 1700’s camps including a native village east of the Mississippi and also merchants, demonstrators, blanket traders, military camps. On the woods of the Wildcat Valley. For more information: Koh-Koh-Mah, 765-513-8848.